When you win casino prizes, you have a couple of options. You can keep the winnings in your wallet or you can withdraw some or all of them. Casino withdrawals are a hugely satisfying part of playing slots and table games, but there are a number of things you have to bear in mind. Read the Casino Deposits page for information on crediting your account. Find out more about casino withdrawals in this article to ensure that you can pick up your prizes with ease. If you want to withdraw funds from your casino wallet, you need to verify your account first. This is a legal requirement in all gaming jurisdictions and helps to combat criminal activity such as money laundering. It also allows the casino to show it is going to great lengths to prevent underage players signing up. Although verifying your account is an involved process, you cannot bank your prizes until it is complete. You can verify at any point, but many people don’t think about it and suddenly realise they don’t have instant access to the cash they picked up from slots or table games. The reason casinos do not force customers to verify before their account is up and running is purely so as not to put them off. If you knew you had to jump through a host of administrative hoops before playing your favourite games, you would seek out a new casino site instead. You must scan documents such as your passport, driving licence, ID card, utility bills, credit card bills, bank statement or eWallet account screen. However, each casino has its own list of approved items, so you should check the terms and conditions to know the exact ID you need. If you like trying out new casinos, it is worth saving these documents on your hard drive so you have them to hand. This means that you can bank your winnings as quickly as possible next time you open a new online casino account. You should note the casino’s minimum withdrawal amount before you sign up. If you are an occasional or low-stakes player, joining that site that only allows withdrawals of £50 or more might not be the best fit for you. The chances are you will never reach this amount, so you won’t be able to enjoy the fruits of your labour. Each casino has a different minimum withdrawal value, set to suit their needs and the needs of their prospective punters. Low stakes players are better off at a casino like PlayOjo, where there is a £20 minimum withdrawal, than Winner365 which requires players to rack up at least €100 before removing funds. If you like to build up a kitty from your casino play, the minimum casino withdrawal limit may not be an issue for you. Many UK casino sites also operate a maximum withdrawal limit. Just as low rollers need to check the minimum value, high rollers might be put off a new casino that limits them to smaller withdrawals. Once again, each casino states its maximum withdrawal level in its terms and conditions. For example, LeoVegas allows players to take up to £10,000 from their wallet, whilst Casumo imposes no limits. In addition, at sites such as Casino.com, you can increase the limit by working your way through the VIP scheme. Maximum casino withdrawals are not just limited to monetary value. In addition, some casinos limit the number of withdrawals you can make in a day, week or even month, no matter their size. 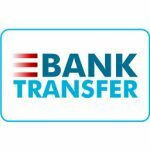 The time it takes for the funds to travel between your casino account and your bank account is affected by a couple of factors. Firstly, casinos process and verify withdrawals at different rates. Royal Panda, for example, aims to give the green light to withdrawals within 24 hours, whereas Instacasino attempts to do the same within three hours. The second factor that dictates withdrawal times is the method you use to collect your prize. If you use an eWallet like Neteller or Skrill, the funds should hit your account instantly after verification. 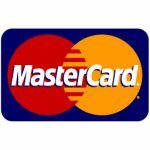 Withdrawals to debit and credit cards can take around a week. Some bank transfers can take even longer. You usually have to withdraw your winnings to the same payment method you used to fund your account. It is possible to withdraw it to a different method at some casinos, but the process is complicated. 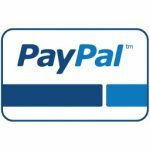 Find out about Paypal casinos on the dedicated page. To make a casino withdrawal, you must verify your casino account. Then, go to the account section and look in your wallet. There should be a withdrawal link. 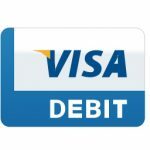 CIick that and input the amount you wish to withdraw and the payment method it should be sent to. You will be informed when the withdrawal is verified by the casino and the funds become available to spend in a time frame dependent on the payment method.